Swedish furniture designer, designed furniture for e.g. Nordiska Kompaniet (NK). 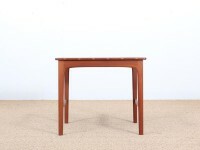 Mid-Century modern side table in solid teak by Yngvar Sandström. 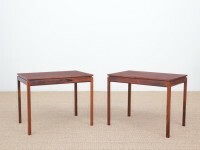 Mid century modern scandinavian pair of occasionnal table by Yngvar Sandstrom.